Just bought a new shotgun. For some inexplicable reason I have recently become obsessed with buying a home defense weapon. Don’t ask me for a definitive reason why I want a weapon for home defense because I don’t have one. I have owned guns before and I have always enjoyed them. Maybe it is the subconscious worry that the economy may worsen and result in civil unrest. Maybe it is because I am worried that if Obama is elected President I may not be able to legally own a firearm in the future. But mostly I wanted a gun for the security it can provide and the sheer fun of going to a range and blasting away at a target. 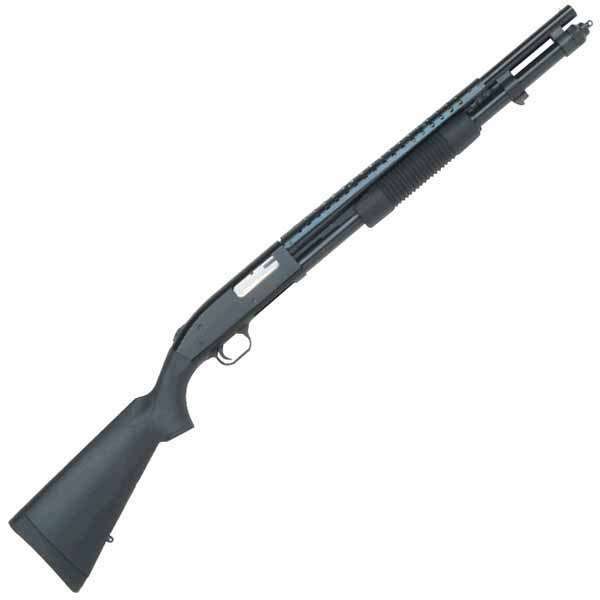 So after doing some research on the Internet and asking some police friends for their input I settled on a Mossberg 590 12 ga. pump action shotgun. Bob’s Gun and Tackle in Norfolk had a good deal on one so yesterday I went down there and filled out the state and federal background check forms. Today I received a call from Bob’s telling me the checks were cleared and I could pick up my shotgun anytime. So now I have a new shotgun, 3 boxes of ammo, and a cleaning kit. The ammo is 00 buckshot with low recoil, escpecially designed for home defense. I have read all the safety literature and the owners manual and now I can’t wait to take it down to the outdoor range in Pungo first chance I get. I have plenty of experience with firearms as I was trained in the Army to operate and maintain an M14 and an M16. I have previously owned a Ruger mini 14 and a 22 pistol, so I am not a novice when it comes to firearms. I just pray that the only times I fire the Mossberg will be at a range and for fun. I have never shot anyone before and don’t want to. Future post will regale you with my first experience with actually firing the Mossberg. Stay tuned.